The Secret Kitchen is my monthly supper club, which I've been running in Highbury, London since January 2010. Usually 20 people come for dinner. We start with welcome cocktails and canapés and then guests sit at two communal tables. Guests bring their own wine, for which I provide suggestions. Some upcoming dates and menus are advertised here, others are not. To be notified of all dates, sign up for the Culinary Anthropologist newsletter by clicking the button on the right. Email me to book places. All of the past menus can be found below. My menus are inspired by my culinary travels, the seasons and the ingredients I love. Each menu tells a story. 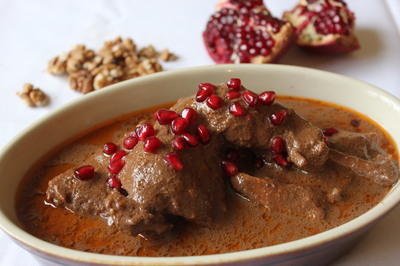 Continue reading Special Persian Secret Kitchen, 12th & 13th Dec 2014.